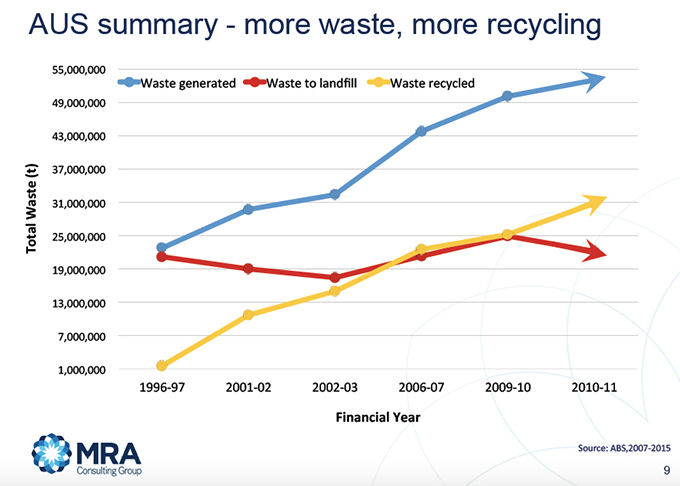 Quick summary: Students will investigate the amount of waste being produced by Australians each year, as well as recycling rates and greenhouse gas emissions, by analysing graphs and statistics. They will then learn about Waste to Energy (WtE) technologies employed at Visy’s Kraft Mill in Tumut and compare energy output and efficiency with coal power plants. Students will also investigate calorific value and how WtE facilities can reduce large quantities of waste from landfill and prevent the associated carbon emissions. Students will use a variety of mathematical skills to complete this investigation including percentage, rate, formulas (efficiency), data analysis and problem solving. Students will understand that waste production can be a problem. Students will understand how clean and sustainable technologies, including waste-to-energy facilities, can reduce environmental impacts. Students will be able to use a variety of mathematical skills to solve problems. Students will be able to identify trends in data. Find percentages of quantities and express one quantity as a percentage of another, with and without digital technologies (ACMNA158). Investigate, interpret and analyse graphs from authentic data (ACMNA180). Solve a range of problems involving rates and ratios, with and without digital technologies (ACMNA188). Additional – Express numbers in scientific notation (ACMNA210). Relevant parts of Year 7 Mathematics achievement standards: Students solve problems involving percentages and all four operations with fractions and decimals. They interpret simple linear representations and model authentic information. Relevant parts of Year 8 Mathematics achievement standards: Students solve everyday problems involving rates, ratios and percentages. Relevant parts of Year 9 Mathematics achievement standards: Students interpret ratio and scale factors in similar figures. They apply the index laws to numbers and express numbers in scientific notation. Level of teacher scaffolding: Medium – the teacher will need to provide context and scaffolding where necessary and lead the investigation. Energy From Waste Graph 1. Energy From Waste Graph 2. Energy From Waste Graph 3. Keywords: Percentage, rate, efficiency, waste-to-energy, landfill, graphs, statistics. Students can recognise trends in data and understand effects. Students can use efficiency and calorific value calculations to make comparisons. 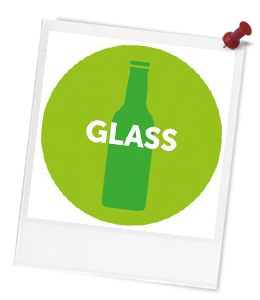 Students can name one specific problem caused by the production of waste. Students will become familiar with clean and sustainable practices including waste-to-energy technologies. Thought starter: Is there a way to turn waste into energy? Part A: How much waste is there? 1. Have a look at the graph below. 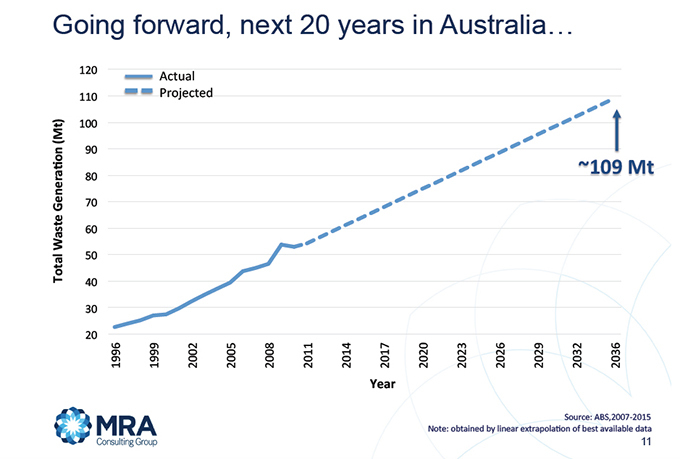 This is showing how much waste Australia has generated each year since 1996, and how much waste we are projected to make by 2036. Use this graph to calculate the projected percentage increase in waste generation from 1996 to 2036. Find the approximate amount of waste for 2018 and compare this to the 1996 value. Why do you think we are producing so much more waste now, than in 1996? Can you think of any reasons? 2. Now have a look at the following graphs and quote. Can you describe any trends in this data? Can you make any observations? Can you describe any trends in this data? Can you make any observations? Part B: Can we turn waste into energy?